CSX's Q417 passes in front of Route 206's northern bridge abutment (MP 50 on the TL) with its mixed consist of freight on March 27, 2011 in Belle Mead, NJ. 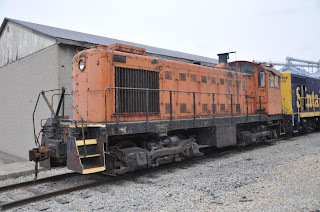 Motive power was CSX 8764 (SD60M) and CSX 8844 (ex-CR 6480; SD40-2). The southern bridge abutment has been completed and grading the area around it has been done. With the severe winter New Jersey has experienced, I would speculate that construction project is behind schedule. Originally, it was said the new bridge's steel spans for the Route 206 roadway would be in place by February. As one can see, that has not happened. The old span, seen in the background, is best described by saying its days are definitely numbered. I should have heeded my wife's advice! Why do I question Deb’s wisdom? Monday illustrates a good example of why I say that. Ringling Brothers Red Unit Circus train was scheduled to depart Newark in the afternoon for its 534 mile trip to Youngstown, Ohio. The location I selected to photograh the circus train would be the Valley Road grade crossing (MP 40 on the LEHL) in Hillsborough. At 3:15, my wait would start under overcast skies and an intermittent drizzle, definitely not the best conditions. These weather conditions were definitely better when compared to the Red Unit’s trip from Philadelphia into Newark back on February 21st. Snow was my constant companion on that day! My wait would be interrupted by NS 6140's approaching headlight on NS H74. This local freight would be working the Aeropres facility here at MP 40. While shifting some tank cars, the dispatcher questioned as to how long they would be since the circus train was about an hour away. This was around 3:55. Their response was they would be done shortly and then be heading west. At 4:45, H74 finished up their switching and proceeded to head west with eleven cars in a push-pull mode. Ahhh… it wouldn’t be long now before the circus train was here I thought. Around 5:08, a westbound approaching headlight could be seen through the ground fog. Perhaps this finally would be what I was waiting for, the circus train. There was no chatter on my scanner to indicate this train’s symbol so I surmised it had to be the circus train. My hopes were shot down when I saw this was NS 9190 as the leader for this mixed freight. 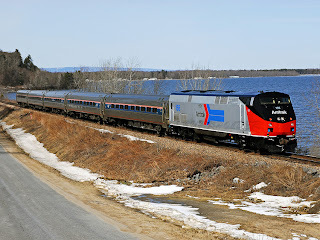 NS 33K’s sixty-four cars added up to a 4,100 foot-long train. After dinner, I decided to see why the circus train was delayed via the internet postings. I was surprised that if I had taken my wife’s advice to “…give it fifteen more minutes.” , I would have seen the circus train! It was passing through Port Reading Jct at 5:47. That location was a little over two miles east from where I was. Once again the “15 minute rule” was in effect on this day. This rule states that fifteen minutes after you leave a spot, the train you have been waiting for will appear! I suppose that next time I should also take my wife’s advice and stay. 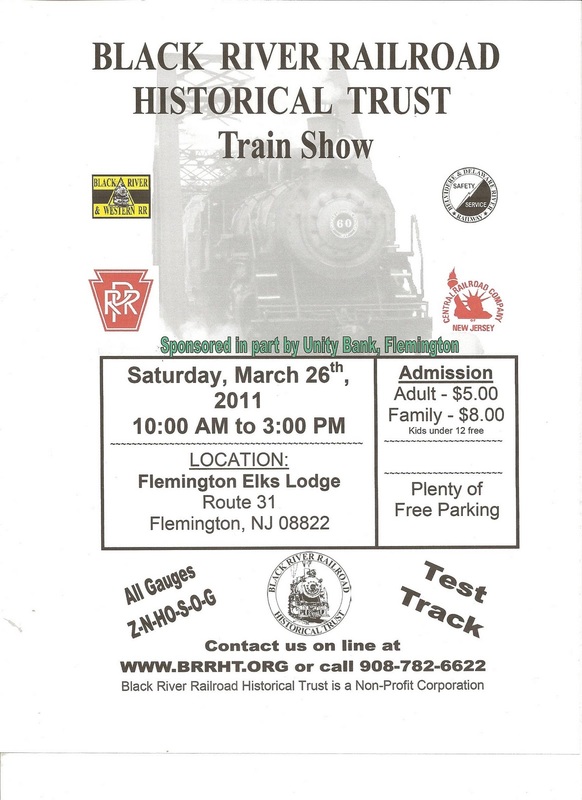 The Big Little Railroad Shop will be a vendor at the The Black River Railroad Historical Trust Train Show in Flemington, NJ, on Saturday, March 26, 2011. Stop by our table and say hello. 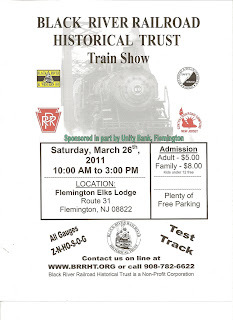 The show will be held at the Flemington Elks Lodge on Route 31 from 10:00 AM to 3:00 PM. More information on their web site: http://www.brrht.org/ and on the flyer below. 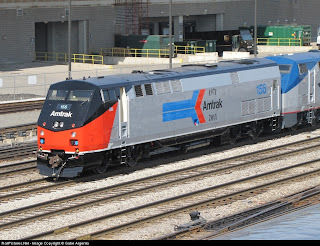 To mark Amtrak's 40th Anniversary this year 5 locomotives will wear 5 different heritage paint schemes. Here are pictures of the second unit to enter revenue service, P-42 #156, wearing a Phase I paint scheme. Also see our postings on Wednesday, Feb. 23, 2011 and Sunday, Feb. 6, 2011. 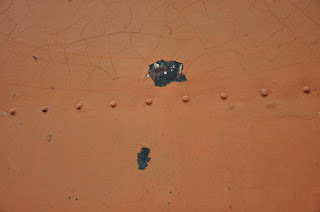 Photo taken in Chicago, IL on 3/16/2011 by Gabe Argenta. 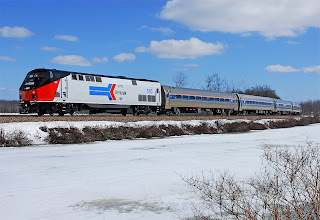 Photo taken at Crown Point, NY on 3/19/2011 by Kevin Burkholder. 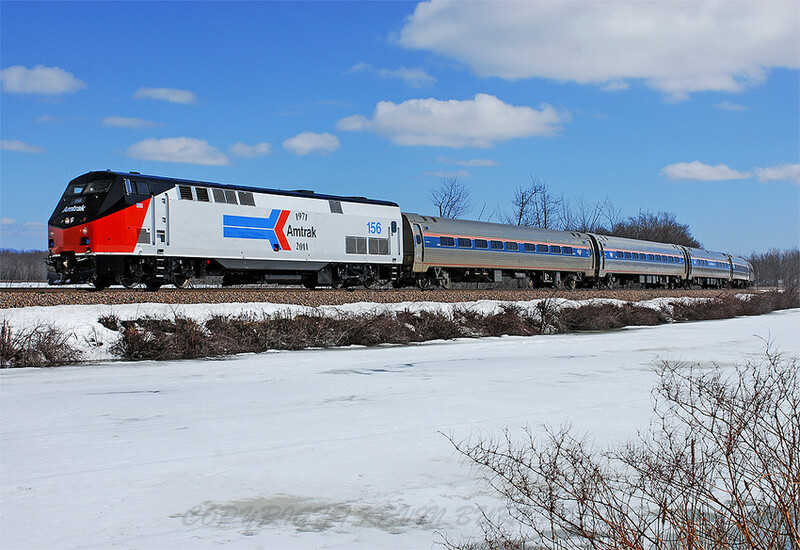 Photo taken at Port Kent, NY on 3/20/2011 by Kevin Burkholder. Received the following via email. Click on the picture to see it full size, then use your browser's BACK button to return here. NORFOLK, VA. - Looking ahead with optimism after last year's second-highest earnings ever, Norfolk Southern Corporation CEO Wick Moorman (NYSE: NSC) says in the 2010 Annual Report that the company is prepared for "the volumes we expect throughout 2011 and beyond, in what I believe will continue to be a growing market for our transportation products." In his message to stockholders, Moorman notes that 2010 was "a very strong year. Aided by the continuing recovery and our own internal initiatives, we profitably grew the business, invested in the franchise, generated free cash flow, and produced attractive returns for our shareholders." Moorman cited his pride in the company's employees for achieving a record safety performance and said, "We are committed to applying the same world-class standard to our customer service." Volume expectations for 2011 and beyond "are supported by our investments in corridor initiatives that are giving us increased rail capacity to handle growth while reaping safety and environmental benefits for the public," Moorman said. "We will continue to do the right things to serve our customers and communities and to reward our shareholders for the trust you have placed in us." The annual report is available on the company's website at http://www.nscorp.com/. Some 175,000 copies are distributed to stockholders, the financial community, news media, and libraries. 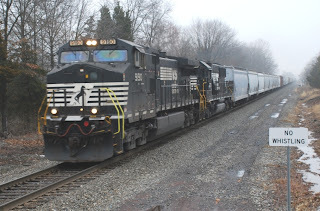 Norfolk Southern's annual report is certified by the Forest Stewardship Council, which promotes environmentally responsible printing standards. To request a copy, call 800-531-6757, e-mail annualreport@nscorp.com, or write to Norfolk Southern Corp., Corporate Communications Department, Three Commercial Place, Norfolk, Va. 23510-9217. NORFOLK, VA. -- On March 18, 2011, Norfolk Southern received an unfavorable ruling from an arbitration panel regarding an insurance claim arising out of the Jan. 6, 2005, derailment in Graniteville, S.C.
As a result, during the first quarter of 2011 Norfolk Southern will record an expense for the receivables for the contested portion of the claim ($43 million) as well as an expense for other receivables that may be affected by the decision (approximately $15 million), as it is not probable that these amounts will be recovered. It is anticipated that NS will be responsible for certain legal costs of the insurance carrier associated with the arbitration proceeding, although the amount of such costs is not presently known. 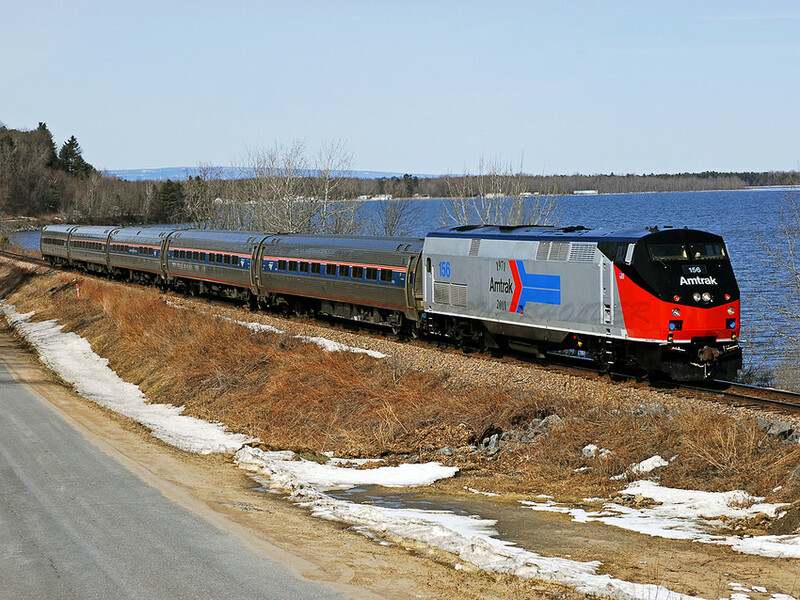 Check out the length of the Ringling Brothers Circus train on the Long Island Rail Road. It took four locomotives to pull it. The video was shot on Monday, March 14, 2011. NORFOLK, VA. - Norfolk Southern Corporation CEO Wick Moorman will participate in the 2011 J.P. Morgan Aviation, Transportation & Defense Conference. Interested investors can listen via simultaneous webcast. After the webcast, the presentations will be posted at http://www.nscorp.com/. After hearing many varying reports as to the demise of the LNE 611, I wanted to see for myself, especially after "discovering" this unit in 1984 working away in obscurity. 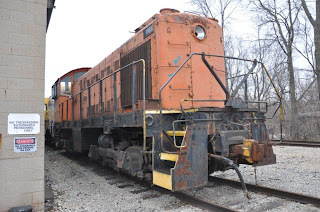 While it has been replaced by a ex-BNSF(ATSF) GP-9, the 611 still resides intact in Emporia, IN. It had been sold to a scrapper in New Castle, IN, but received a last minute reprieve when it was purchased from the scrap company by an unknown individual. She is currently stored in Emporia awaiting her new owners to transport her to her new home...where ever that may be!! The Big Little Railroad Shop will be open during the Somerville St. Patrick's Day parade. Please stop in and say hello. The parade begins at 1:30 PM this Sunday, March 13, at Main and Grove streets and will continue west on Main Street to West End Avenue. This year's parade will include about 90 units, and is expected to last about 2 hours. Weather is forecast to be partly sunny with temperatures in the low 50's. NORFOLK, VA - Norfolk Southern has been named to Corporate Responsibility Magazine's 100 Best Corporate Citizens List for 2011. 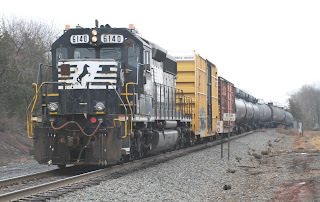 Norfolk Southern ranked 79th on the magazine's 12th annual list. This is the third time NS has been on the list. The 100 Best Corporate Citizens List is based on 360 public data points relating to the environment, climate change, human rights, philanthropy, employee relations, financial performance, and governance. The best corporate citizens are selected from among large-cap Russell 1000 companies, based on data provided by an investor data firm. "We are committed to continuous improvement in economic, environmental, social, and business practices that are good for our employees, communities, customers, and stockholders," said Blair Wimbush, NS vice president real estate and corporate sustainability officer. "We are honored to be named one of America's 100 Best Corporate Citizens and excited about the progress we are making in these areas." Norfolk Southern's 2010 Sustainability Report describes a number of initiatives, including NS' goal to reduce greenhouse gas emissions by 10 percent by 2014, and reflects the corporation's efforts in transparent corporate responsibility reporting. 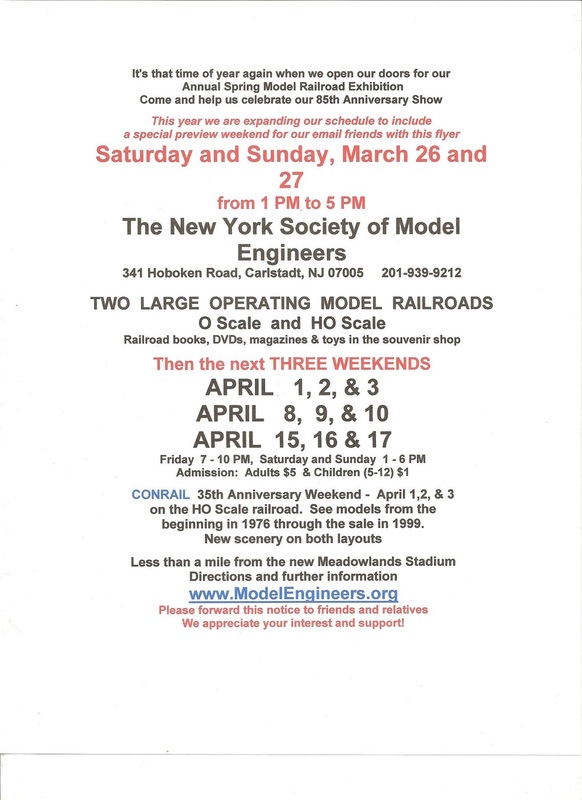 The Jersey Central Railroad Historical Society hosts the largest railroadiana/model train show in New Jersey, and the Big Little Railroad Shop will be a vendor there. Please stop by our table and say hello. 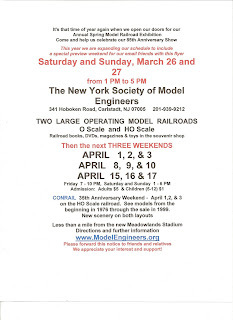 This year's show will be held Sunday, March 6, 2011 from 9:00 AM until 3:30 PM at Mother Seton High School in Clark NJ. Note: our store in Somerville will be open as usual the day of the show. NORFOLK, VA. - Erskine B. Bowles has been elected a director of Norfolk Southern Corporation (NYSE: NSC), Chairman and CEO Wick Moorman announced today. Bowles served as president of the University of North Carolina from 2006 to 2010, when he was appointed co-chair of President Obama's National Commission on Fiscal Responsibility and Reform. Bowles was a North Carolina senatorial candidate in 2002 and 2004, and general partner in Forstmann Little & Co. from 1999 to 2002. He served as chief of staff to President Bill Clinton from 1996 to 1998 and as assistant to the president and deputy chief of staff from 1994 to 1996. Prior to that, he was administrator of the U.S. Small Business Administration; founder of Bowles, Hollowell, Connor & Co.; and vice president of corporate finance for Interstate Securities. Bowles currently is a senior advisor to Carousel Capital and a director of Morgan Stanley and Cousins Properties Inc.
Bowles holds degrees from Columbia University and the University of North Carolina.